Commercials have begun landing on our nails with this very first animation nail job! 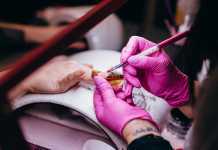 It’s a moot question whether a lot of people will jump at the idea to go get a Kia Picanto, but no-one will remain unstirred by the staggering manicure feat. It has all the reasons to look splendid with 1,200 bottles emptied and 900 nails painted at the rate of 2 hours each. No wonder it took the hardworking fellas nearly a month to complete the project, but the results deserve every credit they can get. 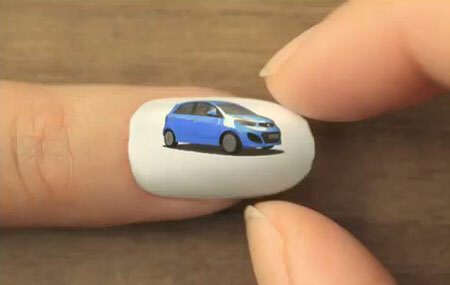 A car driving on your nails – that’s really something!